Okay…I like Dancing with the Stars. I’ve become enamored with the athleticism, grace, and beauty of it. Maybe there is a sensitive side to me somewhere down deep! It is also a platform to watch many life lessons play out – perseverance, courage, skill development, and commitment to name a few. Last week, J.R. Martinez was crowned the champion. This is a true feel good story of a guy who was seriously burned while serving our country in the Army, and now is an actor. This guy was clearly one of the top two all year, yet after an injury was in danger of getting eliminated while others gained momentum. He saved his best dances for last and emerged victorious in a very close competition. He ran through the finish line. We can spend a whole lot of time preparing, improving, and doing “stuff.” It all means nothing if we can’t close the deal (and this noun means many different things). Business and life are about results. Finishing strong requires focus, commitment, discipline, and action. It doesn’t necessarily guarantee victory, but in my mind it guarantees success. However, not running hard through the finish line will guarantee that you achieve less than what you were meant to. As we streak towards the end of 2011, I encourage you to run hard through the finish line. I’m very pleased to introduce a new section on this blog…in Spanish. This section will continue to evolve and build. If you know anyone that can benefit from my work that needs to speak in Spanish, please share it with them. In the coming months, I will be adding the audio from a recent interview I did with Radio Carocal out of Bogot, Colombia. This video is the introduction of me in Spanish. Many thanks to my friend and colleague, Maritza Castro for helping me with it. P.S. 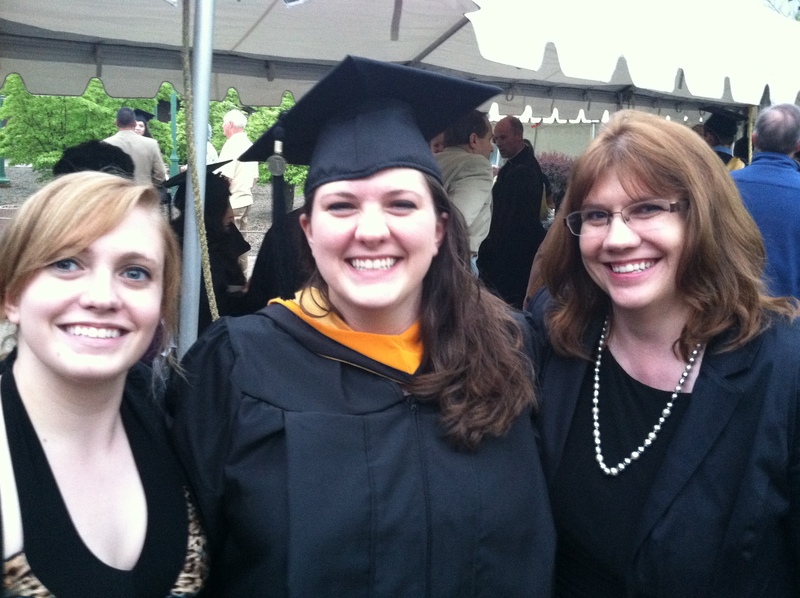 I would be remiss not to mention my friend and colleague Elena Rodriguez Brenna who transcribed for me…thanks Elena! This week starts the holiday season in America with a whole bunch of food, football, and family (notice how food and football got the first two spots). But it does give us pause to be thankful for what we have. It’s been a year full of emotional highs and lows for me. From the death of my father to the re-discovery of my Colombian roots, it has been a wild ride. But for me, there has always been one constant for nearly 30 years. I hope you’ll allow me to offer this week’s Extra Points to express thanks for the most important person in my life. Barb and I started dating in high school and got married 3 years after graduation. She had no idea what she was getting into! I am thankful not only for her but for her patience, perseverance, and undying support. In a world of high volatility, for me she is my rock. What, or who are you thankful for? Make sure you show that appreciation this week. There is a tragic story coming out of Oklahoma State University this morning. Head Women’s Basketball coach Kurt Budke and his assistant Miranda Serna were killed in an airplane crash following a recruiting trip. This happens as college basketball is getting started and leaves the university both mourning and grasping for answers. Certainly, the focus is on the families of Coach Budke and Coach Serna. However, their loss at such a critical time is also an example of how important it is for organizations to be prepared for “human redundancy.” Certainly, the team has other assistants, but these were the head and first assistant. How well prepared the assistants are to take the reigns of a major college program will soon be seen. What about your organization? Who is next in line if something happens to you? What if a crisis occurs like this where the top two or three go down? 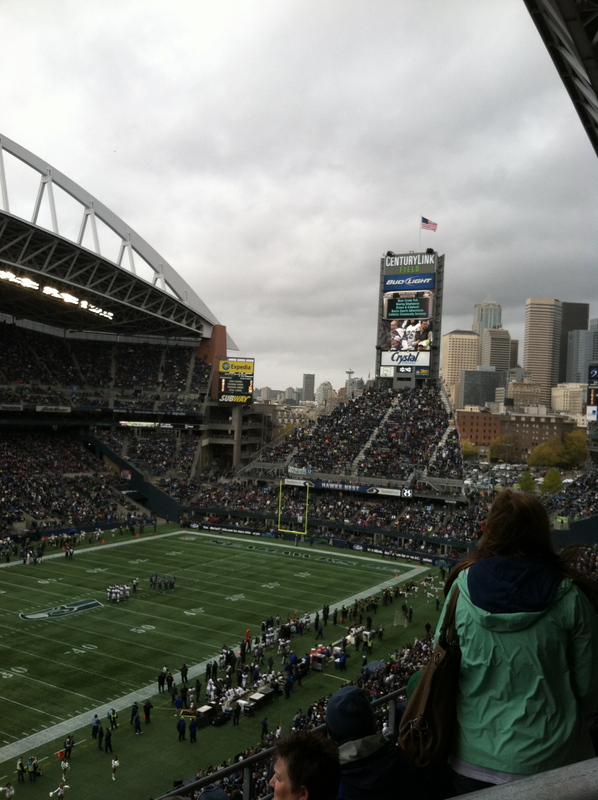 I was at the Seahawks game yesterday as they played the Baltimore Ravens at Century Link Field. The hero of the game was certainly the team’s kicker, Steven Hauschka. Hauschka kicked 5 field goals that were the difference in the Seahawks victory. Hauschka is new this year; replacing Pro Bowler Olindo Mare. Hauschka has been nearly perfect by missing only 2 field goals all year (one of them from a nearly impossible 61 yards). Mare was a tough act to follow, but in football (and all sports), when someone leaves, the next guy or gal has to step in and get the job done. In both sports and business, it’s called “bench strength.” In business, people come and go for a variety of reasons. People leave for vacation and call in sick. No matter what the reason, a business needs someone to step in and not miss a beat. How deep is your bench? Is your organization able to be resilient? How good is your human redundancy? One last thought. Peyton Manning is a future Hall of Famer and led his Indianapolis Colts team to multiple 10-win seasons and 2 Super Bowls. He has been hurt all year and his team has yet to win a game this year. Steve Jobs has been viewed as the most irreplaceable CEO in the world, yet Tim Cook has picked up the reigns flawlessly. Which example does your organization most resemble? I guess maybe the Board of Trustees read my blog post today. They have relieved Coach Joe Paterno of his duties immediately. This isn’t the last we will hear of this. The fallout will be widespread and legends and reputations tarnished. This isn’t a scandal that involves boosters buying a car for a kid. This has serious issues related to damaging lives. Damage to reputation has the chance to harm more deeply than any other peril. How do you protect your organization’s reputation? Legendary Penn State football coach Joe Paterno is stepping down at the end of the season and leaving Happy Valley in disgrace. Not for anything that happened on the football field; not for wins and losses; and not even for NCAA violations. His 61 years at the same institution (46 as head coach) ends abruptly because he made poor decisions and turned a blind eye to issues involving his subordinates. Paterno was aware of allegations against his defensive coordinator and friend Jerry Sandusky, who is now being accused of molesting many young boys from 1994-2010. Paterno turned in the information and left it in the hands of his boss. Big mistake. His boss is now being charged with perjury and obstruction of justice. The school’s board of trustees are scampering around trying to quell the uproar. The crisis has now escalated beyond the sports world. So you may ask, what did Coach Paterno do wrong? He has not been charged with any legal improprieties. Why has he become the central figure of this giant mess? Why will he ultimately be included in civil lawsuits that will continue to haunt his days? 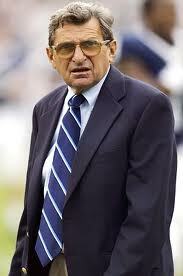 Joe Paterno is Penn State. His brand and reputation over 46 years as the head man at the helm of a successful football program makes him the face of the university. Good, bad, or indifferent; that is the reality. As CEO of the football program, he bears the ultimate responsibility for what happens on and off the field. Issues dealing with wins and losses may just cost you your job. Issues as detestable as what happened with Sandusky will cost you your job, tarnish your reputation, and potentially hurt the university in a myriad of ways. Paterno is guilty of doing the minimum. He handed off the issue to his Athletic Director. His next mistake was the killer. He did nothing. He blindly put his trust in his boss to deal with it and then went back to coaching and recruiting. He allowed Sandusky to stay around the program and the campus. In fact, in 1998, the police investigated Sandusky for this type of behavior. At that point, the guy should be gone. Should be allowed nowhere near the campus. Paterno had that control. Instead, Paterno stuck his head in the sand and left it to others to clean up. Here is the problem…when you are the face of the institution and the CEO, you’d better make sure things get resolved. Paterno told the board of trustees to not spend another minute thinking about him. Really? Paterno wants to go out on his terms and finish the season. I say no. He forfeited that opportunity. The trustees are now the ones in crisis management. What does their communication plan say? What do they need to do to salvage any semblance of reputation for their academic university that has always been viewed as “clean?” In my estimation, you don’t allow one of the central figures in a cover up to have a coronation. Heck, last night, the 84-year old Paterno made the decision that it was okay to encourage a pep rally outside of his home with 3,000 students by leading a “We are Penn State” cheer and a hearty “Beat Nebraska!” Yeah, like that is important. Disturbing. The board of trustees need to show courage in decision-making and dismiss him. If you were in their seats, what would you do? Hindsight is 20/20. I get that. However, that is why it is so important for executives and business owners to think about this in advance. By virtue of having employees, these things are liable to happen. They are vulnerabilities that you face. How do you respond to employees, the media, your customers, your supply chain, your family? If you don’t have a plan in place now, then you risk your business and your reputation. If the mighty Joe Paterno, who built an empire in over 60 years, can fall in 5 days, how quickly can you and your organization fall? 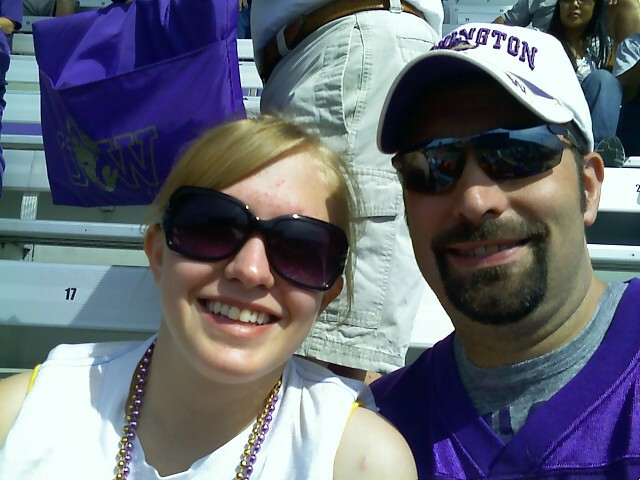 On Saturday night, Husky Stadium at the University of Washington closed down for the final time. The stadium was built in 1920 and is antiquated, dangerous for spectators, lacking in any new amenities, and drab. If it wasn’t for the incredible view of Lake Washington, it might be considered the worst stadium in college football. The $250 million renovation is long overdue. They begin work on it today at 11:30 am Pacific and the Dawgs will play the rest of this year and next at Century Link Field. The stadium will be completely demolished and taken to the ground to re-build (other than the North overhang built in 1985). In order to “rise from the Phoenix,” it often takes a total shift from the old. For a stadium, its demolition. For a business, it’s change management. Hanging on to the “old” ways because they evoke powerful memories or past success is a great way to become insignificant. Having the vision and creativity to tear down the old ways and bring in something fresh and exciting (even if it means a short-term discomfort) in the long run will bolster your business and your life. I was just quoted in this new online article on distracted driving and cell phones. The question at hand – is this an obsessive-compulsive disorder? Interesting research…I weigh in on the insurance part of it. Worth the read to the end (that’s where I’m quoted)!